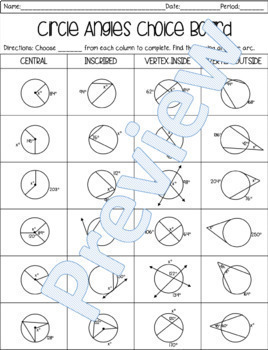 Circles Unit Bundle-with Editable Test!! This choice board allows students to choose a certain amount of problems to complete. Great for differentiation! I left a blank for teachers to fill in how many problems they want students to complete. I offer extra credit if students do more than the required amount. 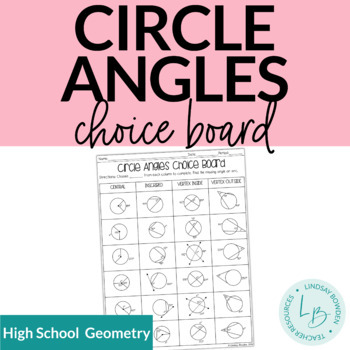 Choice board includes central angles, inscribed angles, vertex inside angles, and vertex outside angles. Answer key included!